Welcome to Cistrome Cancer ! 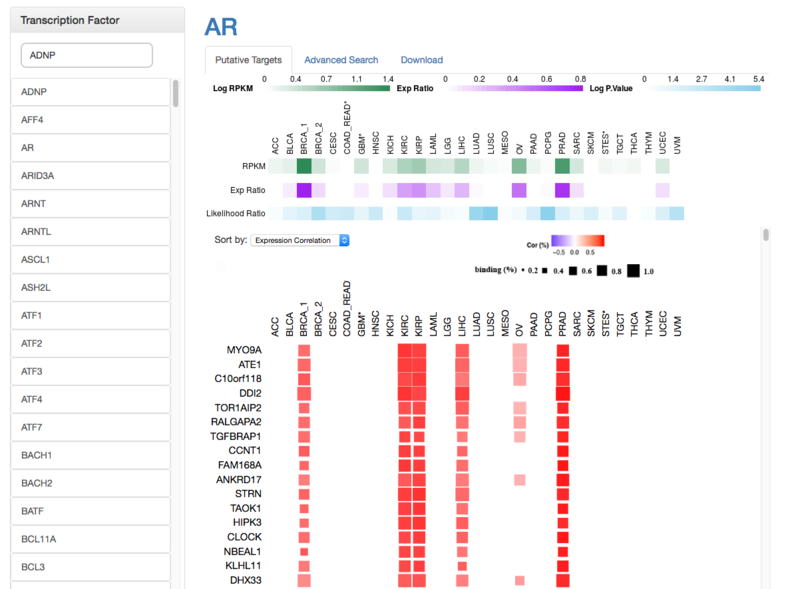 Cistrome Cancer is a comprehensive resource for predicted transcription factor (TF) targets and enhancer profiles in cancers. The prediction was from integrative analysis of TCGA expression profiles and public ChIP-seq profiles. For each transcription factor (TF), this data resource provides their putative target genes in each cancer type in which the TF is actively transcribed. The target prediction is based on integration of expression correlation over the samples in each cancer from TCGA and TF binding patterns in the genome from public ChIP-seq data. The gene symbol of the TFs is searchable from the left panel. The expression levels (top bar) and putative target genes (rows) of the TF in each cancer type (columns) are displayed in the right panel. For each cancer type, this data resource provides the cancer specific genes and their putative functional enhancer profile in the genome. Cancer specific genes were identified by comparison between cancer and normal samples from TCGA expression data. 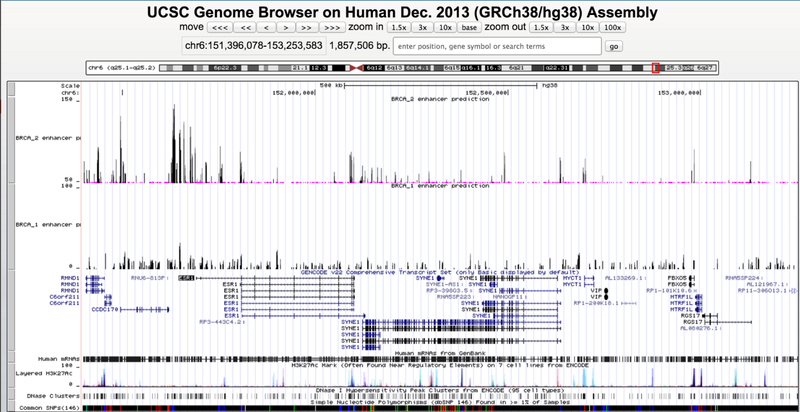 Functional enhancer profiles were predicted with MARGE, using public DNase-seq and H3K27ac ChIP-seq data. Predicted functional enhancer profiles can be directly visualized using WashU EpiGenome Browser or UCSC Genome Browser.